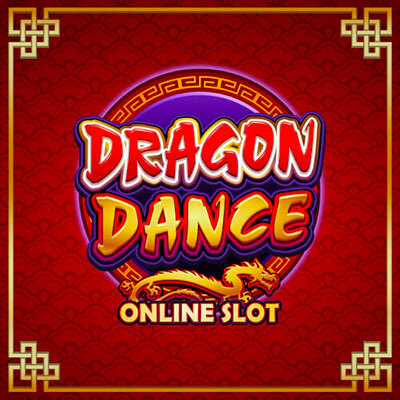 Dragon Dance is a slot by Microgaming, which pays homage to the Chinese New Year celebrations. The Dragon Dance one of the most highly anticipated events with a beautiful bright setting, lots of cheer and in this game, lots of winnings. This slot has a clear oriental feel with 5 reels and 243 ways to win. Stakes start from 25p to £125 per spin. Join the drummers, extravagant lion costumes, dramatic artists and dancing dragons in the celebrations of a lifetime. Microgaming was launched in 1994 and is known as one of the oldest, most respected online casino software suppliers. 1994 was also the year they launched their first online casino known as the Gaming Club. It still uses the same software. They released their Viper software in 2002 which was very successful and saw the company rise to greater heights. Microgaming has proven that it is an efficient solution to its operators and players alike. They currently hold the record for having paid out the highest value in progressive jackpots over the past decade. They have a reputation of paying out jackpot wins immediately and in full amount which is not something many developers can say for themselves. You can feel the excitement right from the onset of the game. Players will be whisked away to a giant street festival where the air is a red hue and stone dragons mark every entrance point. The setting includes bright colours the most notable one being red which is believed to get rid of bad fortune. It also has touches of bright blue, gold, purple and green, which add to the excitement and vibrancy of the festival. The slot is available only on desktop. There are two very important Dancing Dragons you will need to keep an eye out for during the main game and the free spin round.These are the White Dragon and the Golden Dragon. Both of them are usually dancing across the 5 reels. The golden one will pay prizes going up to 20,000 coins whenever you manage to line up 5 of them. The White Dragon pays up to 12,500 coins. Other symbols include; a cute Chinese Girl, Chinese-themed Poker Symbols, a couple performing a fan dance, etc. Scatter symbol- The firecrackers are the scatter symbols.If you line them, you can win up to 12,500 coins. It can also trigger free spins. Free spins- If you land 3 to 5 scatters, your prize is a free spin bonus round of 15 free spins with a 3x multiplier. You can eventrigger the free spins round again for a maximum of 30 spins if more firecrackers appear. Re-spin feature- At the end of a spin you have the option to re-spin a reel as many times as possible for a chance to form a winning combo. Each spin costs you and the cost isindicated on the reel. Dragon Dance iseasy in terms of gameplay and bonus rounds as well. Bigger wins usually come in during the free spins feature. There’s up to 160x your stake to win in the base game and triple that amount on each free spin. The re-spin feature really elevates the game.